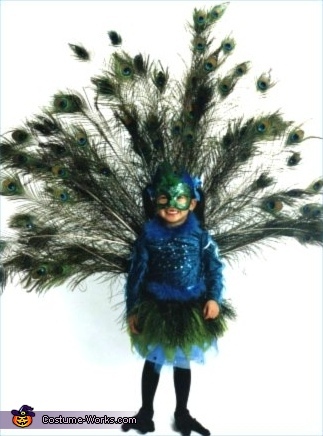 Our first entry is Liberty... dressed as a colorful Peacock. Shake those tailfeathers Liberty! Ü Liberty's Mom is a Cake designer and baker. Thank you Tamara and Liberty!